This is a completely customized underwater theme wedding cake topper ordered by one of our customers. 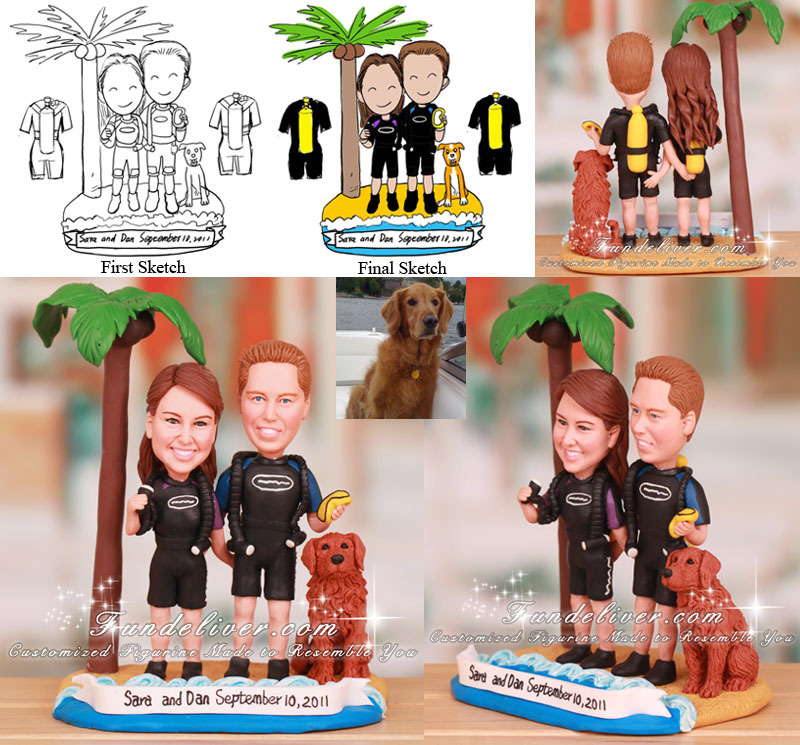 They would like a scuba diver cake topper of the bride and groom in scuba gear with wetsuits, holding mask and air line, and a dog and palm tree next to them - the dog to be next to the groom and the palm tree to be next to the bride. 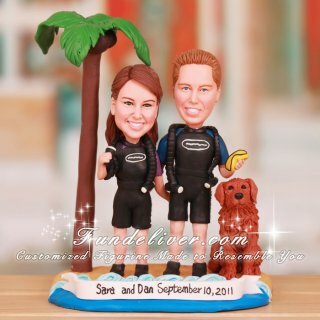 Both figurines are smiling and standing on a sandy base with ocean, waves and a little banner in the water that says: Sara and Dan September 10, 2011. For the wetsuits, the groom’s has blue accents and the bride’s has purple. Their boots are just black booties without any pattern and their scuba tanks are a neon yellow color. Have similar underwater theme wedding and looking for a underwater cake topper? This one will be a perfect choice. Just send us your ideas and reference images, we will first design some 2D sketches to get your approval and then turn them into 3D figurines.